Aaron S. Allison is a Certified Public Accountant as well as the Director of Operations for Better Homes and Gardens Real Estate By Design, a full-service, boutique real estate firm specializing in residential lakefront/luxury property and commercial real estate located in beautiful Winter Haven, FL. Aaron is a graduate of Florida State University, where he received his Bachelor of Science in Physiology, as well as the University of Central Florida, where he received his Master of Science in Accounting/Taxation. He received additional executive education at the Harvard Business School, where he was awarded a Negotiation Mastery designation, as well as a Digital Marketing designation from The Wharton School. He is also a Lean Six Sigma Yellow Belt through both PricewaterhouseCoopers, as well as M.I.T., and isa licensed Certified Global Management Accountant through the AICPA/CIMA as a result of his many years of international business management experience. Aaron began his career with PricewaterhouseCoopers, the world’s second largest professional services firm, and member of the Big Four. 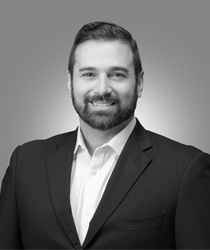 During his time at PwC, Aaron specialized in the Utility and Healthcare sectors, providing auditing and assurance services to a multitude oflarge clients such as TECO Energy and Lee Memorial Health Services. Wanting to expand his skillset, Aaron left his auditing career at PwC and transitioned to the Specialist Holiday/Marine division of the German-based TUI Group, the world’s largest leisure, travel and tour company, holding operations in over 80 countries. Aaron lead the Finance and Accounting division across multiple subsidiaries worldwide,overseeing all financial functions in countries such the United States, Australia, and various countries in the Caribbean including the Bahamas, St Lucia, and Grenada. Due to his vast experience in the international business field, Aaron was sought out by Triad Retail Media, an innovativeadvertising firm with exclusive relationships with retail giants such as Wal-Mart and eBay, to expand their global presence in markets such as Australia and across the UK. Once this international expanse was complete, Aaron returned to the healthcare field, leading the accounting operations for Dynamic Dental Partners Group, a national dental service organization. Always searching for the next adventure, Aaron returned to his roots in Polk County, FL, and joined Better Homes and Gardens By Design, to partner with his fiancé and Broker of the office, Bree Martin. It is Aaron’s goal to not only grow with BHGRE By Design, but to expand the overall economic and business health of the community where he was born and raised.